Yes, this is the news you have been waiting for. OK, it is the news WE have been waiting for, but I know there are a few of you out there that are at least mumbling...finally! FINALLY! After exactly 13 weeks, we are moving into our new home- T-O-M-O-R-R-O-W! Did you hear me squeal? Because I did. Seriously! You knew this southern family could not give up a front porch, right? Clarke finally gets his 3 car garage, and I plan on a lot of parties by the pool! And unlike all of our moves before, we will only have one night on the blow up mattresses, as the furniture will arrive Wednesday morning due to my hero husband's diligence. There are projects to be done, but because this is being considered our forever house (until God tells us otherwise) we are going to take our time with settling in. For those who know me well (stop laughing) you know this will be a challenge for me. I like things done NOW, yesterday is an even better option. But I have promised to pace myself. Let me give you a quick tour before I go finish packing up this place. I won't bore you with too many pictures, just a few highlights. I apologize for the quality, Ashton managed to get three pictures before the camera battery died (my fault, not hers) and then we had to use my phone. View as you enter the front door. Clarke's office is to the left and the dining room to the left. Clarke's office. We are having built in bookcases put in on the wall to the right. Don't ask me what Colby is doing! Dining room- light will be replaced at some point. Glare is horrible, but this is looking from the living room into the eat in kitchen area and kitchen on the right. The theater room- Clarke's favorite spot! Once we get set up I promise a better tour for those who are interested. One of our desires in finding a new home was to find one that could house guests comfortably and have room to host and entertain. We think we have found it and hope to make many memories with friends and family here. Come on by, a guest room is waiting for you! Oh friends, thank you for the prayers you have lifted in our behalf! Thank you for the encouragement though numerous calls, texts, and cards! Thank you for listening to my whining on hard days and celebrating with me on good ones. It is our hope that, although there have been bumps in the road, we have learned along the way. It seems there was a lot that the Lord wanted to teach us. We pray we have learned well, despite our occasional stumbling. Praise Him that he is faithful, even in moments we are not. May we be more faithful with every passing day! 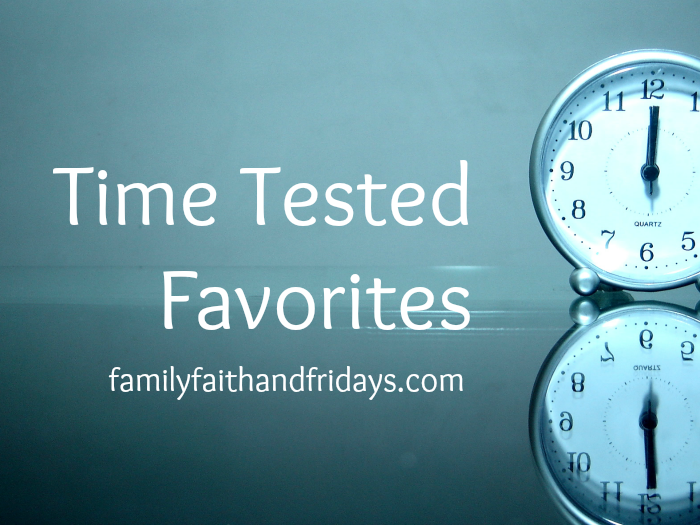 Today's theme is Friday Favorites! I know it's not nice to play favorites but let's face it, we all do it. And curriculum...yep, I have some favorites. Actually, I like all that we use and have used. One of the glories of homeschooling is that if we don't like a certain curriculum we ditch it. There is no reason to suffer through something that is not a good fit. Sometimes we just find an even better fit. But there are definitely some programs that have blessed us beyond belief, thrilled my kids, or just taught us more that we ever thought we could learn. Some we have used for years and a few are pretty new, but regardless, they are the ones I recommend to the most people. Please keep in mind every child is different and therefore has different needs. What works for one may not work for others, as I have seen with my own four. But that being said, let me share with you my Time Tested Favorites! If I have reviewed it, I have linked it for you. Veritas Press Self Paced History- This is a five year cycle intended for upper elementary to lower middle school ages. We are in our 5th year and we adore it. It is online and it is rich in Christian Worldview. It is pricey, but worth every penny and goes on sale several times a year. Notgrass- We have used several of these books, also for the middle age range, and had very good success with them. We will be picking them up again next year and I am excited about that. Saxon Math- I know there may be a few of you that just physically cringed, but I still feel this is the best math out there for the first few years of math instruction. Between the manipulatives you use, the meeting book (calendar), and the clear cut directions, it is user friendly for what often tends to be first time homeschoolers. Teaching Textbooks- We switch over to this about 4th or 5th grade and use through highschool. The new online version is fantastic! Apologia courses for the elementary and middle school levels still soar above the rest, in my opinion. We have used them all at some point or the other with great success. Northwest Treasures is new to us this year, but man do we love it! It is hard to find young earth Christian based science so we are thrilled with the products they offer for many ages. Sonlight has worked for us for 11 years so I have to say that is still our go to. I do advise you to review the books your child reads, as I do feel there are a few questionable ones at the higher levels. Progeny Press Literary Guides are also an amazing resource, especially if you want to expand literature beyond the standard just answer a few questions and be done. Reading Eggs and Reading Kingdom, both computer based programs, are a cut above the rest. I wish I had used them both for all my kids, as our youngest used them both and read way earlier and easier than the other three. Hake Publishing is also new to us this year, but I LOVE it! Made by the same people who did Saxon Math, it is organized and concise. Since they only go to 8th grade currently, I am praying they continue through the high school years before we get there this time around. If you are looking for a stand alone spelling program I cannot rave enough about All About Spelling. It is hands on and simple to use. Again, Apologia stands out! Their What We Believe series will take you through four years of Bible study. It is a great backbone to further learning, setting the stage for a Christian worldview. I Don't Have Enough Faith to be an Atheist is also from Apologia and I HIGHLY recommend it for your highschooler. Song School Spanish and Flip Flop Spanish are both good beginner Spanish programs and make learning fun. Homeschool Spanish Academy was absolutely the best experience for us during a review and we have plans to begin it again for Colby next year. There is nothing better than learning a foreign language from a LIVE native speaking teacher! ARTistic Pursuits- I am not an artsy crafty type of gal, but this is a great program for all ages! It is no secret that we LOVE homeschooling. OK, maybe we haven't loved every minute (there were years that tears were prevalent. Theirs and mine.) But on a whole we have loved what we do. And we are thankful. For so many things. The choices that are available- Classical education, unit studies, online, text books or living books. What ever we want to do we can, in any order that we want, and at the speed we want. No one tells us it is time to move on if we are really interested in a subject and we don't have to dwell on things we deem unnecessary. The curriculum that is available- Oh man, are there some amazing companies out there! As a matter of fact, that will be the topic of our final post tomorrow. If you can dream it, you can find it. If you can't find, just ask me- I will help you. Curriculum is my passion and I love helping families find just the right fit. The time together as a family- Let's face it, we spend a lot of time together. 24/7 it seems at times. But that is the point. We are building relationships first, and schooling secondly. I don't send my kids away for the majority of their days and then have to try to squeeze in together time. When we are not schooling, we are playing games, exploring nature, traveling together, and just being. Not every day brings an adventure, but every day brings us closer together. The one-on-one time with each child- Believe it or not, we do have one-on-one time with our kids. We are not always together as a group although I do tease people we travel as a pack. I often meet with a child one-on-one to concentrate on a particular subject. Other times I have quiet reading time with a child and I even sneak off with one at a time for a special lunch date just to catch up. If they were gone all day, those things would prove to be more difficult to fit in. They will not be with us forever so I am taking advantage of our time together while I can. The closeness of our kids- If you know us personally, I hope this is something that stands out to you. When my girls were younger I remember people asking me about this all of the time. "Why do your girls get along so well?" Ummm, one because we have never tolerated a bunch of arguing and rivalry, and two, they were together a lot and considered each other best friends. Still do. Once the boys entered the scene, the closeness continued. The girls thought that the boys were their personal projects and playthings and loved spending time with them. Of course, every minute is not perfect, but we encourage building relationships as a priority. The family closeness- Again, see above. We are deliberate with our time as a family. We began this journey because my husband had a crazy schedule when the kids were younger and we knew if they were off at school all day they would never see him. Of course, God changed our reasons for homeschooling along the way to align more with HIS reasons, but through the years we know we have been blessed by our time together. The opportunity to talk about God in all we do- Yes we are unashamedly Christian and seek to glorify the Lord in how we live, homeschooling included! Much of what we study comes from Christian publishers and we start our days with Bible class and end most evenings with family devotions. We do not have to worry about what we say and how often we say it- God is at the center of our school day without fear of persecution. The flexibility in our schedule- Have you ever seen our school year? While we consider ourselves year round schoolers, every year looks different. For years we schooled according to dad's schedule and his travels with the military. Many times we schooled on the road due to a move and then took off weeks while we explored new states. We have followed our girls' college schedules to be able to take off when they were home for visits and we have been known to take off almost all of December just because we wanted to. Currently we are on week 10 of our new school year but getting ready to take off two weeks so we can move into our new house. We do what works! The many things we have learned together- Book knowledge and otherwise. I don't know about you but I was not the best student as a kid. It wasn't because I couldn't do it, but often because I didn't really care. Sad but true. So with my kids at my side, I have relearned math I never understood, rediscovered books I loved as a kid, and learned a foreign language better than I did in high school. We have explored subjects like aviation and done Bible studies together that reaffirmed our beliefs. I get excited about things the kids find exciting and vice versa. I count it all joy. I hope to see you back here tomorrow for our last day of the Blog Hop- I am going to share with you some of our favorites from the past 20 years! Since we have people ask us often how our oldest two have graduated (or are going to, as is the case of our senior) early from college, I figure that is a good thing to quickly address today. Keep in mind, this is what has worked for us so far. We still have two boys to get through the process and it may look differently for them. Dual Credit Classes- Beginning in their high school junior year, my daughters both began online dual credit classes from the college one daughter later attended. Because that college worked off of 8 week classes, they were able to complete quite a large number of general college credits in their junior and senior years of high school. In my newness to the system, I did continue to teach many of the subjects they were taking, so yes, they had pretty busy years and repeated a few things unnecessarily. Oops! Hindsight- I will make sure the boys only take things I have not already taught and those classes truly will count for their high school AND college credits. By working in this fashion both girls had most of their general college courses done by the time they went off to school, as well as a few electives taken care of. Good thing, since both chose to attend private, Christian schools in different states. Less time in the college equals less money paid. I will be the first to admit this way of doing things does have a few downfalls. When you are a freshman but not in freshmen classes it can be more difficult to make friends and for sure it will confuse you classmates. Sometimes we pay a price for the choices we make, but these are ones we would choose again. There are so many other ways to get ahead, or just to "do" college. One of our daughters actually finished her senior year online while at home developing and running her own business. Others choose to go to trade schools or straight into the work force. Regardless of the choices you make, make them for YOU and YOUR family. 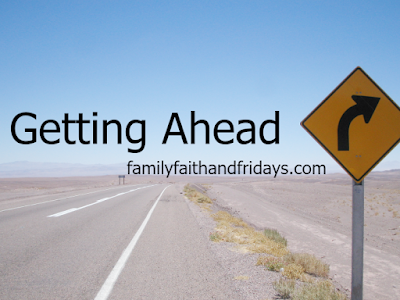 Stop comparing, and enjoy the freedom you have to do what you think is best for your family. After all, isn't that one of the glories of homeschooling? 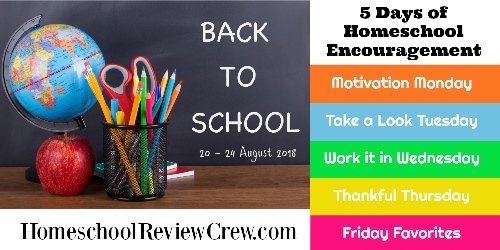 Welcome back to the second day of our 5 Days of Homeschool Encouragement Blog Hop. Today is all about Take a Look Tuesday- hope you will join the fun! You can find my Day 1 Hey First-timer here! 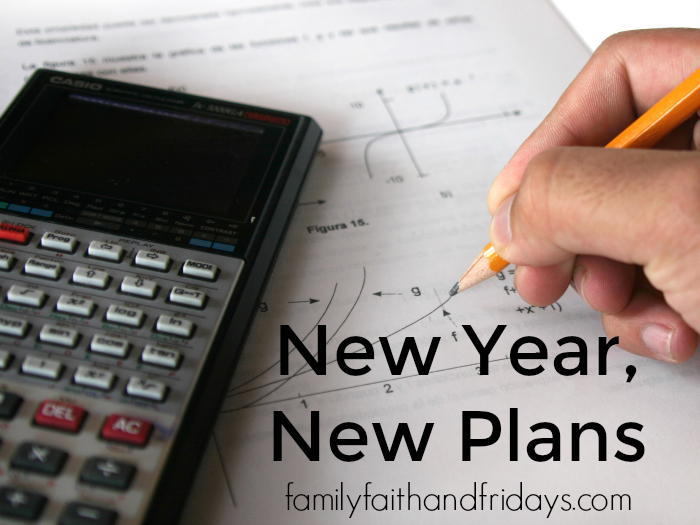 If you have been following Family, Faith and Fridays for any time now, you know that every year of homeschooling looks a little different. 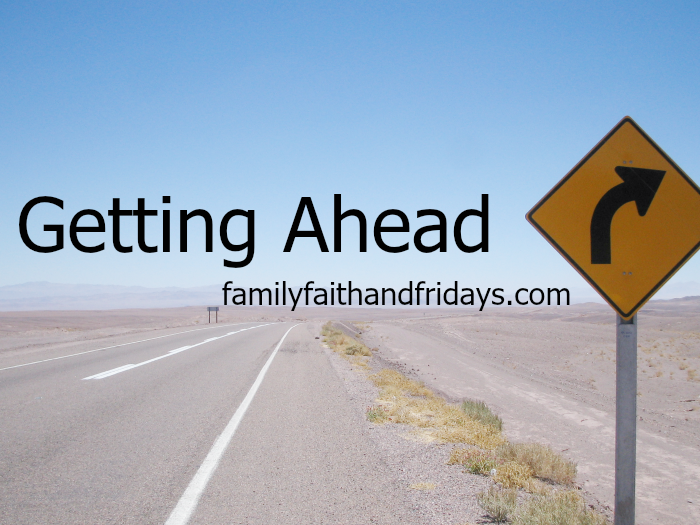 Sometimes the changes are due to the ages and stages of our kids, some years it is due to a move or a deployed husband, and some years, well, we just need a change. You would think that, now that I have my fourth child in grade 6 (excuse me while I hyperventilate) it would be in a nice routine, but nope, more changes are ahead of us. Our 6th grade curriculum is easy to share! Literature- Normally we use Sonlight for literature. While our plan is still to do so, we have not yet begun due to our stuff all being packed in a storage unit somewhere. Thankfully I brought a few books with us and have been blessed to review a few so we are still on track. Progeny Press offers amazing literary e-guides and we have done one for The Scavengers and for Charlotte's Web. We are currently reading a YWAM book on Meriwether Lewis, also which has a study guide you can buy. Grammar and Writing- For the first time ever we are using a program from Hake Press (same people as Saxon Math) for Grammar and Writing 6. I LOVE IT! It is the same spiral approach that Saxon math users know and love. The lessons are clear and precise and we love the writing instruction that is interspersed throughout. If you haven't seen this new program, I highly recommend it! Math- Teaching Textbooks- again! We are using their new online 3.0 program and as always, are pleased with it. The new online format (which eliminates the need for disks) has been a huge blessing to us and allowed us to get started early. History- We are in our final year rotation of Veritas Press Self Paced History. This is the one subject we have not begun yet since our corresponding cards are packed away, but we will begin in September. It is Colby's favorite subject and we will be sad to see it end. Science- This is another subject I failed to bring with us, but God knew what we needed (doesn't he always?!!) and brought Northwest Treasures into our lives a month or so ago. We began a review for their Geology for Kids program and fell in love with it. This program will take us through at least January, and then we will reevaluate from there. Music Appreciation- Again, another review we were blessed with a while back from Memoria Press and so we are using this time to finish up. Bible- After an AMAZING experience with ABeka online last year (a break I needed at the time) Colby asked if we could continue this online. At this level you can only purchase one class with their hourly rate option, but we feel it is worth every penny. This is one class I make sure I do with Colby first thing every morning. We sing hymns together, memorize scripture together, and study the Bible together. It is a precious way to begin our day and I love it. He loves the "classroom" feel and the "interaction." Literature- Sonlight again. We have used this for years and still like it. I do occasionally pull I book I do not care for, but this year I think is pretty safe. Luckily we have raised kids who love to read so he has been reading a lot of books since we have moved and some will count towards his school year. Science- We will be using the newest version of Marine Biology from Apologia. My college gal used the older version and enjoyed it, so we are excited to start this one with the new notebook you can buy. Math- Math U See Stewardship. 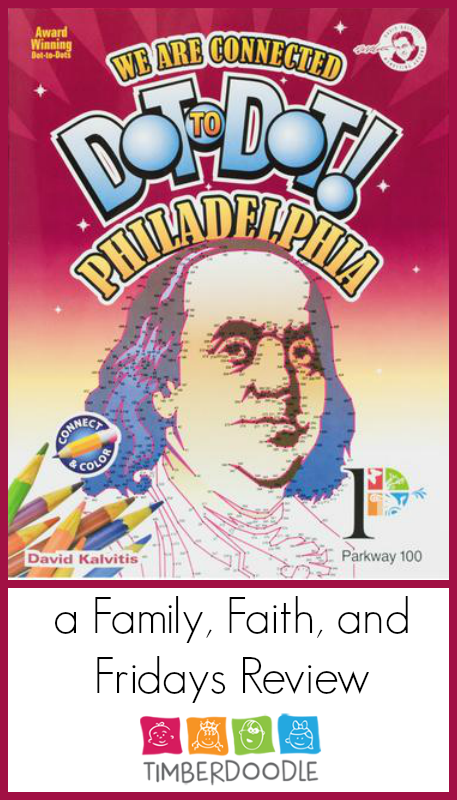 This is a fairly "easy" year for math, but I feel strongly that we are lacking in teaching kids basic math/life skills and so I love this program and the devotional that accompanies it. History- Sonlight again! It works, and it is my son's favorite subject. This year will be a semester of Economics and a semester of government. I have added a few books to our list and we will complete the Dave Ramsey High School course. Writing- Jensen's Formal Writing. This is new to us this year and we are only four weeks into it, but so far so good. It is easy to follow with the lesson plans provided and has a DVD you can use which is great since Salem is an auditory learner. There is a lot of writing involved, but hey, that is the point, right? Health- Apologia's Exploring Creation with Health and Nutrition. Again, not a requirement in many states, but we were blessed to receive this as a review, started it, and liked it so we are continuing on. 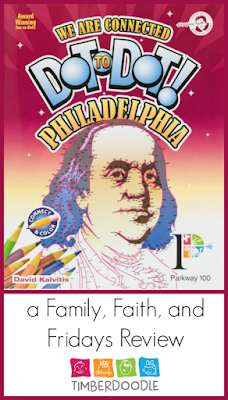 It is laid out much like the Apologia science programs and comes with a great lesson plan. The notebook option is a must-have in my opinion. Bible- Well, here is where it gets foggy! We bought a new-to-us Apologetic program that Salem and I will be doing together. I was so excited when I found it and now for the life of me cannot remember what it is or where I got it. Blame it on the move. When we get our books back, I promise to update as I think it will be a great addition! Since, as a junior, Salem does school primarily on his own, I am looking forward to this little time together each day. He will be adding some classes in the spring at the local community college, but let's save that discussion for tomorrow! This is Day 1 of a series for the 5 Days of Homeschool Encouragement Blog Hop hosted by the Homeschool Review Crew. 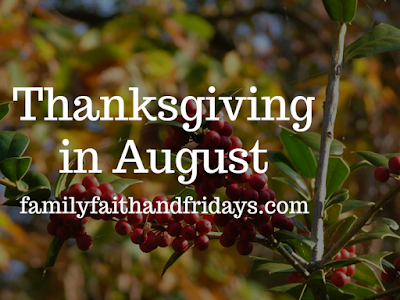 Visit us daily to read more about our life as homeschoolers. Monday's focus is Motivation Monday! School is in session for many homeschoolers already, but I know there are a few still hanging on to the last few days of summer. 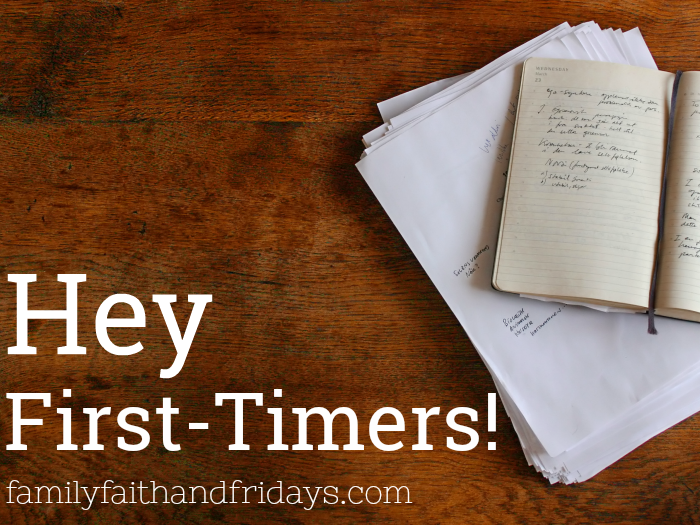 I also know there are a few first timers out there still holding on to fear and so this post is especially for you. I may not have all of the answers you seek, but I have 20 years of experience behind me in this journey of schooling my four kiddos, and I know some things now I wish I had known when we started! YOU CAN DO THIS! Don't let the naysayers stand in your way or make you doubt. And there will be naysayers. But there will also be cheerleaders. Find those people and keep them close. They can remind you that you are not alone and that you ARE capable of schooling your kids. YOU ARE NOT ALONE! I do remember feeling like I was the only one on any given day at home all day schooling my kids. Now, more than ever, you can find a homeschooler on practically every street. Remind yourself when you're feeling lonely that there are others doing the same thing you are. YOU WILL NOT MESS UP YOUR KIDS! OK, maybe you will, but certainly not because of the decision to homeschool. No one loves your kids like you do, no one knows your kids like you do, and no one can teach your kids like you can. They will be fine. So will you! YOU CAN TAKE ONE YEAR AT A TIME! The decision to homeschool can be a year by year decision. As my husband always says to us, "Eat the elephant one bite at a time." Don't overwhelm yourself and plan out your child's life tomorrow. (umm, anyone guilty as charged?) Take one year at a time in thoughtful prayer and seek God's will. He will guide you to what is best for your child. YOU DON'T HAVE TO FINISH EVERY BOOK! Or even use textbooks if you do not want to. There are as many ways to homeschool as there are children to homeschool. Find what works for your family and do it. I do not ever remember finishing a textbook in school, do you? I promise it is not the end of the world if you do not finish one at home. YOU ARE ALLOWED TO HAVE FUN! I am not sure I knew that at first. I was so focused on playing school at home that every day was about a schedule and checking off boxes. There was not much room for joy. Fast forward several children later and I actually have fun most days now. We are flexible and sometimes go where the bunny trails take us. Trust me when I say those bunny trials have led to some great things. YOUR KIDS WILL THANK YOU LATER! I have one daughter that has already graduated from college and one entering her senior year. Both are highly successful and will tell you they are thankful they were homeschooled. (Here's betting the same for the two boys remaining!) The early years may seem a thankless job, but it doesn't stay that way. Keep up the good fight- it is worth it! Oh, friends, there is so much more I wish I could say to you. I wish I could sit by your side and whisper words of encouragement in your ear all day. Know that I am cheering you on as you begin this incredible journey, and that I pray for homeschooling moms daily. It is a pleasure to do this life with you! I am blessed to have these amazing homeschoolers as part of my tribe! Allow their words this week to bless you and inspire you to do great things! But how often do we miss it because our eyes are on something, other than Him? Trust me, I am speaking to myself here. I have missed a lot these past 11 weeks. My eyes have been on our not so fun, and very stress-filled days most of the time. Yes, I have seen some some glimmers of hope along the way, but mostly I have been anxious, worried, and impatient if I am being honest. This is not how I planned things would go. This is not where I thought we would be living 11 weeks into our move. This is not the lovely picture I had in mind for our retirement. I, I, I! Yep, it has been pretty much about me and my comfort, or lack thereof. As Ashton told a friend today, our family had to have a come-to-Jesus talk and re-adjust our attitudes. Believe me, mom was first! 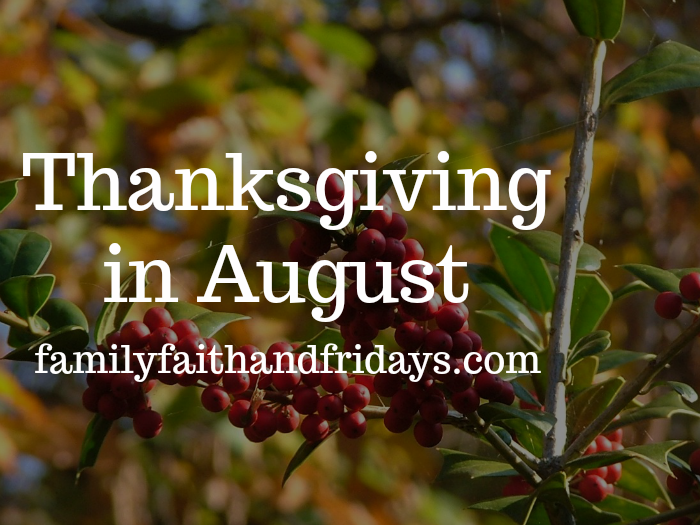 We have spent the past two weeks trying to adjust our attitudes and see the blessings in this season. We have put our eyes back on Jesus where they belong. How blessed we are to know that He never takes His eyes off of us! And yes, He is always on the move. Changing our hearts and drawing us closer to him in ALL circumstances. Even in the yucky and much delayed sale of one house and buying of another. Praise Him that we are actually nearing the end of this adventure. If all goes according to plan, we will close on our Nebraska house in two weeks and move into our new one here a few days later. It looks like it is actually going to happen. There have been more than a few times that we thought it would not. I cannot wait to share a few pictures with you! Until then, we are still adjusting to Arizona. We seem to be at the height of monsoon weather, with lots of heavy rain and dust storms every few days. Pictures don't do it justice but they can be quite intense. Luckily they move through pretty quickly. Salem is headed to Alaska next week and the following week Riley heads back to Mississippi for her senior year at college. We are settling into a routine slowly but surely and making new friends. Life is good. And He is surely on the move in your lives AND ours! Since Wednesday, we are officially living the "civilian life." Ask me in a few months what I REALLY think about it! Clarke and I were married right after college graduation and went directly to pilot training so really, my entire adult life has been that of an Air Force wife and mom. Three of our four kids were born at different bases and our youngest came home to a beautiful, 100 year old historical brick house on FE Warren Air Force base in Cheyenne, Wyoming. Guarded base gates, flights lines, military balls and constant moving are all our kids have ever known. They have worn the label "military brat" well and with pride. We reassured them a few nights ago that they will always be military brats. We will always consider ourselves a military family. It is who we are, deeply ingrained in every ounce of our being. But now the outside world refers to us as civilians and I find myself wondering what that even means and looks like. Doctors I get to choose who I go see? Really? Pardon while I ask, how exactly does one do that? After all, I have had someone tell us what doctor we were assigned to the minute we moved to a new location. The idea of just choosing someone out of a phone book (ok, ok, I know, GOOGLE!) is daunting. And our list of needs is a mile long. Grocery shopping Have you seen the prices of meat? OK, I know you have. And yes, I have shopped at a regular grocery store frequently though the years. But meat, well let's just say the commissary has you civilians beat! And while the closest base to us is a haul, we will be going once a month to stock up on meat. Some habits die hard and some I just cannot give up! Location, location, location I get to choose. Ummm, as hard as it was to wrap our minds around the idea of our newest assignment sometimes (Minot, ND, anyone?) it took far less brain cells to just go where you were told. Yes, we did get asked a few times where we would like to go next, but I think they usually just asked to give someone a good laugh that day as they processed papers for as far away as possible. Overseas travel Guess what! This is optional now! While some of the places Clarke traveled and was assigned to were interesting places to visit, he is no longer being TOLD to go there. Without those he loves. For a year at a time. Just saying. If he wants to go now he can choose and even take us. Not that I am getting on a plane anytime soon, of course. Friends Who knew you actually had to go and look for them? You see, I am used to a military community where you are fast friends with people who live in the base house next to you, ones you see at the OClub, and ones who are also waiting for their moving truck to arrive. We bond quickly, knowing that our time together is short and we "get" each other because of our shared joys and struggles. Actually searching for people with same interests...well, that is something new to me. Identity Yep, sounds silly but true story guys! I have always been an Air Force wife and mom. Apart from my identity in Christ it has been who I was AND what I did. 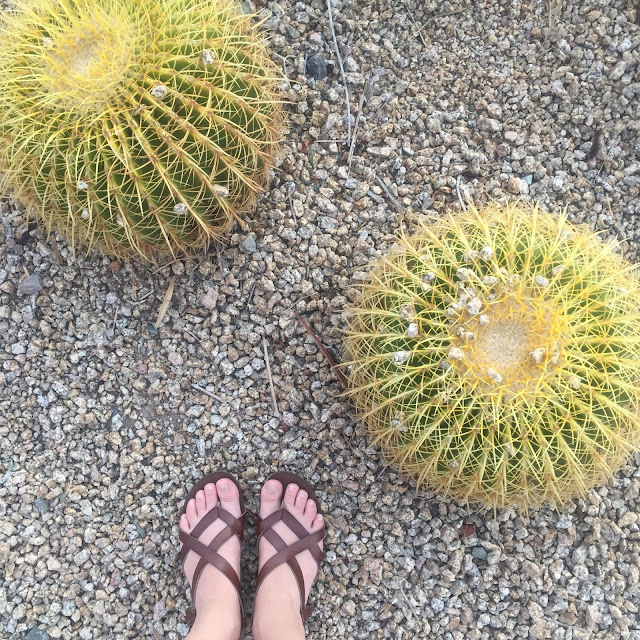 Sure, I am a blogger and a homeschool mom, but military wife- well, that was THE thing. So who am I now? That is a good question. And one I am eagerly exploring as we try to settle into this new reality of civilian life. There are so many possibilities out there that I am a bit overwhelmed. To the average onlooker, our lives probably seem quite normal with no huge changes on the outside. But boy, on the inside we are feeling like fish out of water currently. And with our current housing situation, we are swimming upstream trying not to drown quite honestly. One thing has NOT changed though. Our faith. It may be pushed to limits some days, but it is still there and guiding us in all we do. Decisions, big and small, are more easily made with God in control. We may not always understand what he is doing or what he is calling us to, but we rest in the fact that he is sovereign over every aspect of our life. Whether we are military or civilian!